This Thursday & Next Tuesday!! Half of the duo that was recently arrested in Kentucky for mushrooms along with their tour manager, will be coming to Dallas with his other garage band, KING KHAN & the SHRINES. 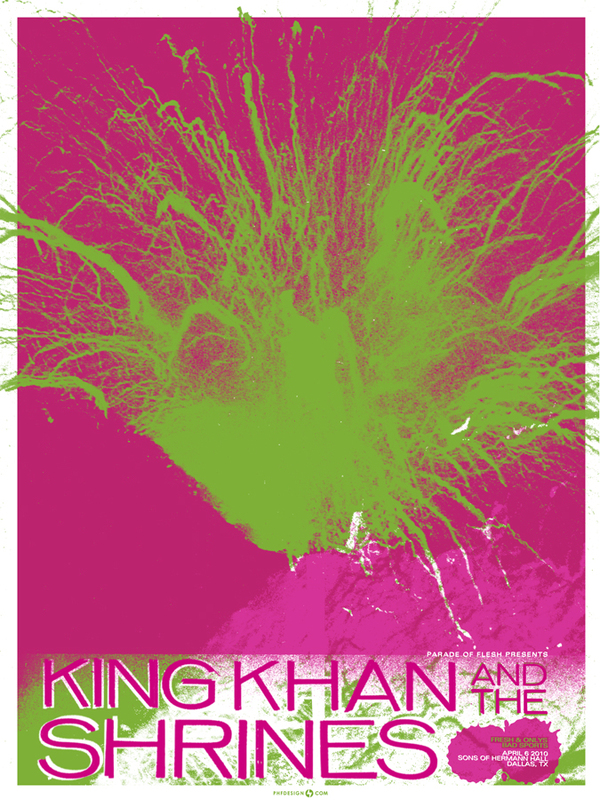 Bringing a large psychedelic German backing band, King Khan & the Shrines will be touring again for What Is?! (vice). Both bands have ampersands in their name!! The Fresh & Onlys had their debut LP put out last year on John Dywer’s (Thee Oh Sees) label Castleface. This entry was posted on March 29, 2010 at 8:29 am, filed under News.